Chinapharm exhibition is known as one of the famous exhibitions with significant influence in the international pharmaceutical field. 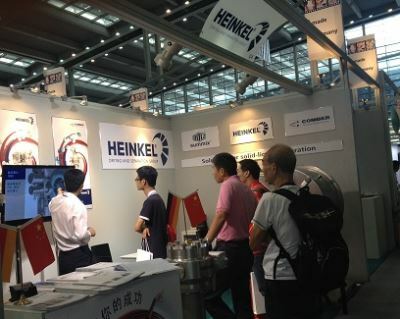 HEINKEL DRYING AND SEPARATION GROUP attended Chinapharm at the end of October in Shenzhen, presenting it´s advanced technology in the pharmaceutical industry. Located in the “Made in Germany” area, the booth attracted hundreds of guests with machine models and vivid animations of work procedures. The exhibition provided an excellent platform for interaction among Chinese and foreign pharmaceutical industries. “Once again Chinapharm has provided comprehensive information and new insights”, says Thomas G. Kleiner, managing director of HEINKEL. “It will also help us to further increase business opportunities in the Asian market”.